Hello everyone! This is Deepika back with another review for a product which I feel every girl and woman must use so as to ensure proper personal hygiene. 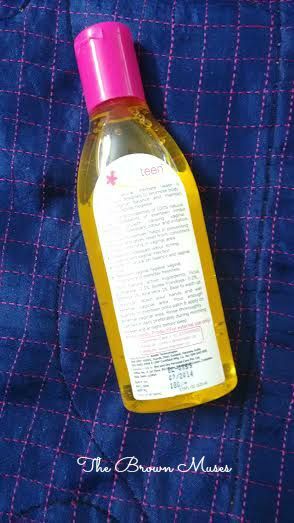 I shall be reviewing a product called Everteen Natural Intimate Wash. The intimate wash is approved by Indian FDA and contains 100% natural active ingredients which makes it mild for all skin types. Everteen Natural Intimate Wash is scientifically designed to promote body’s natural vaginal balance and maintain complete vaginal hygiene. 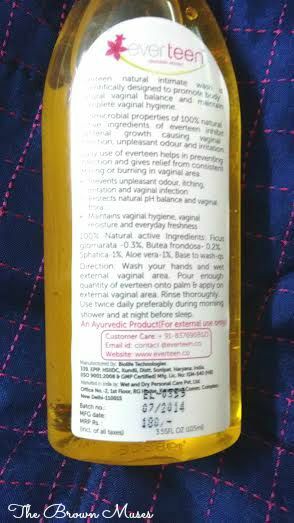 Antimicrobial properties of 100% natural active ingredients of Everteen inhibit bacterial growth causing vaginal infection, unpleasant odour and irritation, Daily use of Everteen helps in preventing vaginal infections and gives relief from consistent itching or burning in vaginal area. I started using intimate washes about two years back and I am always on a hunt for new intimate washes which are chemical free and as natural as possible. I stumbled upon Everteen Natural Intimate Wash and after reading several positive reviews I ordered it on amazon.in and never looked back. The packaging is good and the bottle is sturdy however I am not sure if it's travel friendly as the flip top cap seems flimsy to me. The wash is thick yellow transparent gel and you only require a small quantity of product. This is my second bottle and the first bottle lasted me for nearly six months so I can easily say the product is cost effective. I used the product during my monthly cycle and it caused no problem whatsoever. 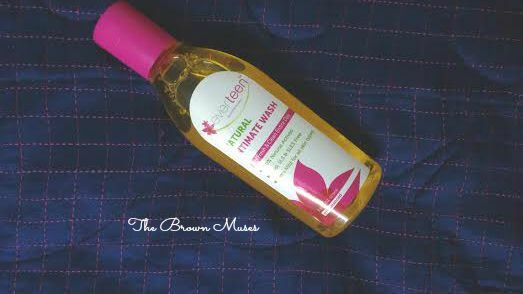 The intimate wash does what it claims it keeps unpleasant odour at bay and leaves your lady part clean and fresh. There's absolutely no stinging or burning but if you are suffering from any vaginal disease I would recommend that you must consult a gynaecologist before using. To sum it up, it's a great product to include in your daily routine if you are above 18! Have you tried this product yet? We’d love to know which intimate wash you have been using lately.